When it comes to link building, it becomes very important for each and every online internet marketing company owner. But do you have any idea what link building actually is and what are the techniques that can be applied for better link building? Well, there is no need even if you don’t know much about this because here in this blog, you will know everything about link building and the techniques as well. Link building is the process of earning natural links on other websites. Earning natural links improves the reputation of a website directly and where it ranks in Google and other search engine platforms. Link building has undergone some changes over some past few years. It has been dead for years, for those who failed to adapt to the ever-changing rules. And, also to the increased requirements on details, skills and perseverance. Well, if you don’t have any idea what you can do to create natural link building, you can follow this blog. In the below section, you will get all the possible SEO link building techniques. But do you know what are the Google’s rules when it comes to link building? If no, then do not worry, just read the below paragraph and get to know the rules. What are Google’s rules when it comes to link building? All the links are not equal and so there is a great need to be very careful whenever you start a link building campaign. You need to build links for your own business, customers and need to make the relevant as well. Linking to your own website is good but you also need to link out to expert articles which are ranked on top of the search results. 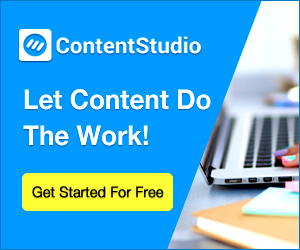 With this, you can link and connect content to websites which already have an established authority in your niche. But one most important thing you should know is that while linking to external sites, always use the tag – rel=“nofollow”. This will help you prevent the link juice from passing on the external site. Visual and graphic content grab eyeballs and infographics can be a great format to build your brand and get backlinks. It will also grab eyeballs of those who are looking for an informative content in a visually or graphically attractive representation. You can submit your infographics in infographic submission websites such as infographik.com, visual.ly and bestinforgraphics.info, etc. For better link building, you can also curate the top articles in your industry and take interviews of top experts or compile the insights from the latest industry report and then convert it into a case study. Once you can see the post is ready on your website, you can share the link with the experts. And then allow them to know you have linked to their content or even have published their interview. For better content curation, you can make use of some tools like Scoop.It, BuzzSumo, Feedly and more. Apart from this, you can also correct the grammer of your curated content with the help of tools like Grammarly, ProWriting Aid and more. Broken link building can help you track the resource web pages in your industry and then check for broken links with the use of a tool like Check My Link. After you make a list of the broken links, you need to be fixed along with the links to useful resources on your website can be linked to. If you want a better link building for your website then you need to search and connect with high-quality websites or portals for guest blogging. If it is done properly, then it can be an effective link-building measure. You need to avoid low-quality websites or even duplicate content as part of the guest blogging initiative. Doing so can results in penalty from Google. You can also comment on relevant blogs. It is a good practice if you are unable to get guest blogging activated. Do you know that influencer marketing is a gaining prominence as an effective marketing channel for brands? Well, if not then know it here. It is a new form of word-of-mouth marketing that involves partnering bloggers and social media influencers to talk your brand. One of the best ways to leverage influencer marketing would be to get the top bloggers in your industry in order to review your product or service you provide. Because of this, you cannot not only create better backlink but also create awareness about your product among your target audience. If you want to create better backlink for your website then you can write testimonials for products or services that you have used for your brand with a backlink to your website. It will also help you demonstrate how you have leveraged that product or service. This would be quite good to write a quick case study in order to add more value to the testimonials. If you want to build better links then you need to track and analyze the backlinks to your competitor websites and then check the source of their backlinks. You can also look at the content and webpages that have got the maximum links to see if you can produce better content on such topics. You can have a look for aggregator sites or industry curators that link to their own websites and reach out with links to your website’s content. If you have old backlinks then it can return a 404 error over a period of time. It results from a new website or a change in URL. However, if you create a new backlinking then there is a possibility that the source site might make a mistake in typing the URL to your website. You can check broken links to your website with the help of some online tools. If you want to check backlinks of your website then you can try tools like Monitor Backlinks, KWFinder, ScrapeBox, LinkBird, Linkody, aHrefs and more. You need to check backlinks as there are several reasons for checking backlinks of your website. So, try these tools and look for your website’s backlink. Repurposing an old content is also very helpful to build better backlink. So, try to repurpose old content in different forms to allow it to reach large number of people. You can convert your written blog article into a presentation or downloadable PDFs, infographics or videos and then submit it on several platforms. Also, you can translate the content into different languages and publish it on relevant platforms. As for example, a presentation can be submitted on Slideshare. You can add more juice to your already existing blog content by simply updating it with latest insights, reference links, presentation and images as well. Some tools such as Talk Walker, Mention and Google Alerts can help you track the mentions of your brand on the web. So, you need to track all the mention for your own brand and see if these mentions have linked back to your website or blog or not. If you find that backlinks are missing in the mentions then mail or reach out on social media and see if that can be converted into a backlink. HARO, abbreviated as Help A Reporter Out is a technique that is an excellent way to get backlinks from news portals. After signing up on the HARO, you will get mails with requirements on information the reporters are looking for. After this, you will be required to respond with the information from your side. Private Blog Networks are websites that are helpful in implementing links to other websites. It is an expensive technique. If you will use this technique then you need to pay for a hosting, domain and set of blog posts. But, this can be risky because Google bans PBNs from time to time. You can notice that the cost of PBNs can be quite higher than the income. One of the best and the easiest ways to build better link form your website is to get links from question and answers sites, comments, forums, content aggregators, top lists, etc. You need to keep in mind that majority are low-quality link so their benefits are questionable. There are several online directories that help you provide no real value to the internet users and Google has excluded them from its search results. You don’t want your website to be listed on such web pages. All the online directories are bad. All good directory sites give you the chance to post a link to your website as well as provide useful information for your possible customers. Directories attached to the informative websites for a specific industry are a good choice. If you have your business listed with such directories makes it easier to get indexed in the search engines. It also helps people find you online. Skyscraper content creation technique involves people to find top performing content in your industry. It also helps them add more depth or value to the existing content. After the content is ready, you can reach out to people linking to the existing content and then share the link to your article. You can build n engaged community on social media platforms and can share your content regularly to amplify the reach of your content. It becomes very important to share your content on platforms like Facebook, Twitter, GPlus and more. In order to prevent repetitive posts, you can use different post images, copies and stats for sharing. Well, apart from these link building techniques, I am still learning some more tips and techniques as well, So, if I find them useful, I’ll definitely let you know. Till then, you can apply these above techniques for better link building for your websites. Just try these and get your website ranked in the top of the Google results. I’ll be back soon with some new tips and tricks for improving SEO. AdSpy Review – An Advanced Ad Spying Tool to Make your Ads More Fruitful! Raven Tools Review : Make your Online Marketing Effective with this SEO Suite!